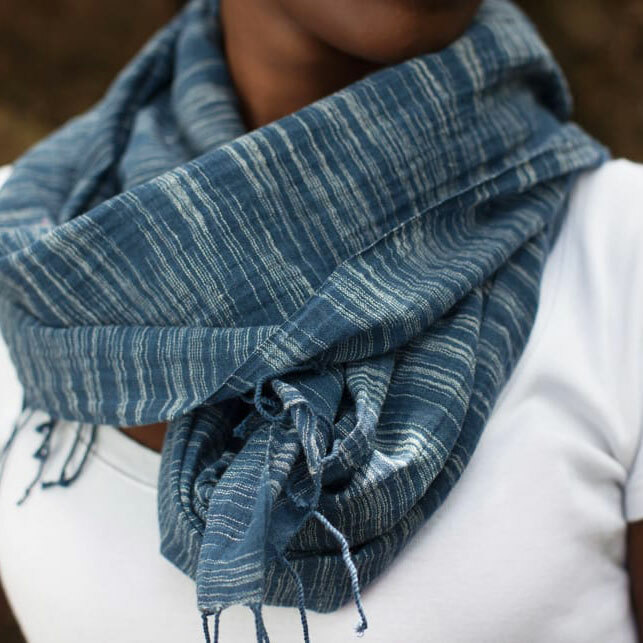 Versatile cotton Fairtrade shawl from Ethiopia. 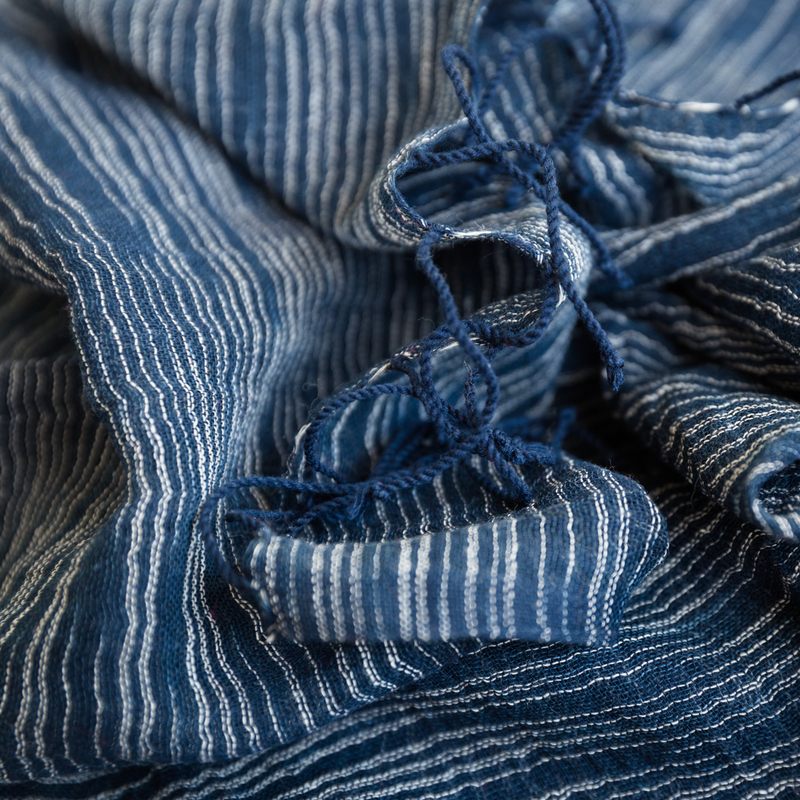 Lovely lightweight navyblue shawl made from locally sourced Ethiopian cotton. The unique design is created by using a space dyeing technique of the thread before it is woven on the warp. 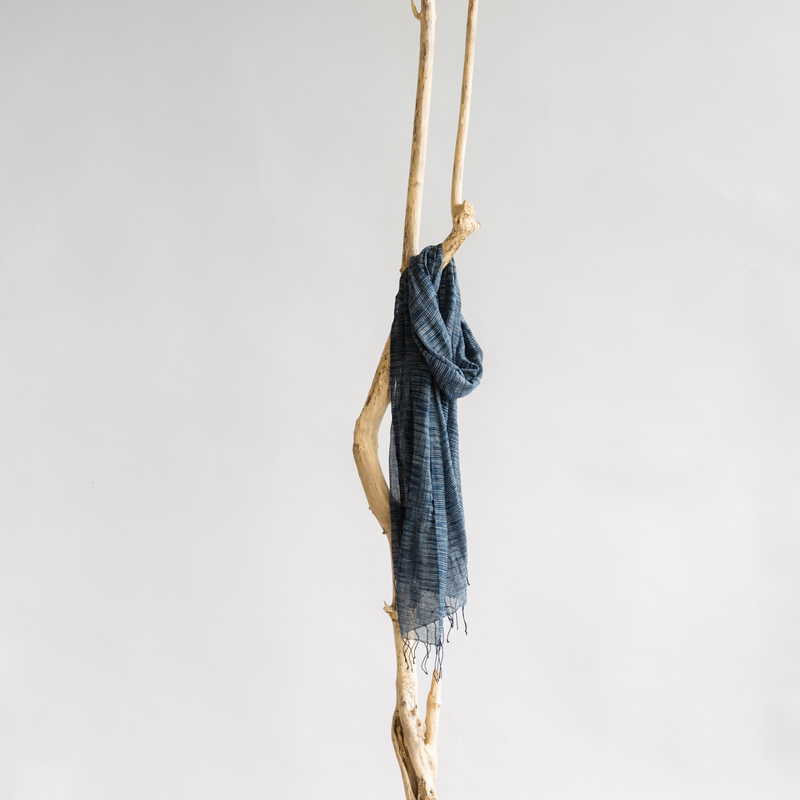 The shawl is handwoven by artisans working with local Fairtrade organisation Sabahar in Addis Abeba. Sabahar is a Fairtrade organisation in Addis Ababa in Ethiopia. The organisation’s aim is to offer underprivileged women and men a sustainable income. At present Sabahar employs one hundred and twenty people. Cotton is a soft fibre derived from the seeds of cotton plants. Cotton is famous for feeling comfortable on our skins because it breathes and absorbs moisture. Last but not least, cotton is strong and hardly wears.